The culmination of a lifelong career. This "how-to" book was 10 years in the making. Step-by-step instructions about learning to engrave. 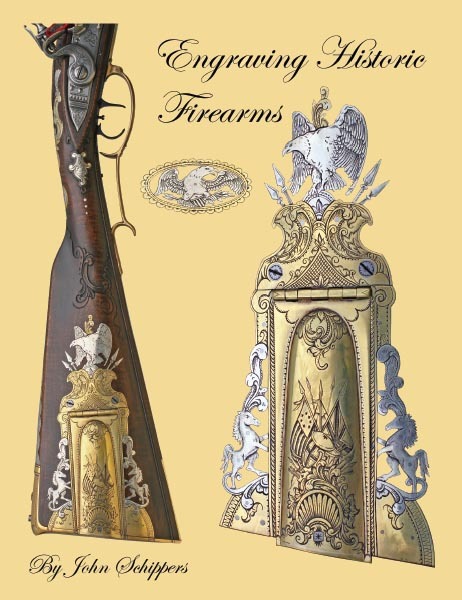 445 full color pages of highly detailed original and contemporary firearms. 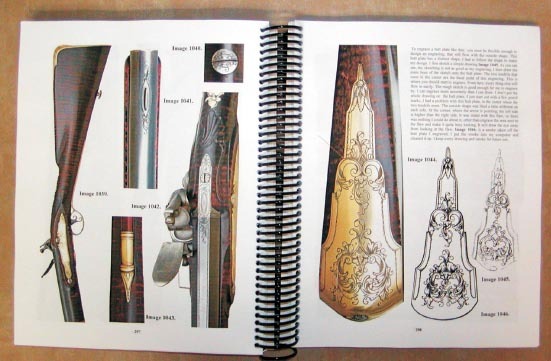 Over 2130 color photographs and illustrations. Spiral binding lies flat for ease of use on workbench. From beginners to experts, for aspiring engravers, fine metal workers and art lovers. John Schippers was born in Michigan in 1939. At the age of twelve John learned to hunt with a 20-gauge percussion single-barrel shotgun that a relative gave him. This started a lifetime love of hunting and muzzleloading guns. John recalls; “They gave me that old junk gun thinking that I would never be able to do anything with it. I fooled them. It ended up being the best gun for me.. I got more game with that old relic than any other gun I ever owned.” Mr. Schippers built his first gunstock in a high school wood shop in 1954 and never stopped building guns. He worked as a machinist and tool maker, then worked in the museum field for over 30 years as a specialist in restoration, conservation, and exhibition. This book is a culmination of how-to information and large wealth of knowlege.